Protein is one of the most essential nutrients in our body besides enzymes. It has a wide range of physiological functions that are required for achieving optimal physical performance. Protein forms the structural basis of muscle tissue, is a major source of energy for muscle contraction, and is also the major component of enzymes and blood in the muscle. 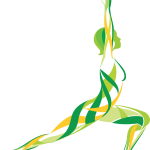 Athletes such as dancers and gymnasts who tend to restrict their energy intake to maintain a low body weight, as well as vegetarian athletes, may have a higher protein requirement and/or not ingest sufficient protein for their needs. The body breaks down protein into individual components of amino acids. These amino acids are then used to rebuild the body and build muscle for athletic performance. Raw, high quality amino acids will produce lean and stronger muscle without the large size. Heated or cooked amino acids found in soy, whey and animal products will produce more bulky muscles which will turn flabby if workouts are not maintained. Heat binds lysine, which is the controlling amino acid. If food is even a little low in lysine, all the other seven essential amino acids are not utilized. These unutilized amino acid are extremely toxic to the body. Carbohydrates on the other hand, break down into sugars which the body burns as a stimulant, like pouring sugar in the gas tank of your car. The engine will run much hotter and even have extra horsepower but it will wreck the engine. This same principle applies to the body. The liver produces glucose levels required for energy, and glucose is created from amino acids. Amino acids are the fuel source for our bodies. Look at the animal kingdom. Ever try to outrun a dog… a deer? How about a cheetah? None of them use carbohydrates they are getting high levels of raw amino acids in their raw diet providing what seems to be an infinite supply of energy. Having a surplus of raw protein, more than needed to maintain health, provides the body with the ability to support higher activity requirements. 95% of athletes seriously damage their bodies by trying to push its’ limits. They look great on the outside but are in pain and discomfort on the inside. Therefore, supplementation with high quality, raw protein is necessary for the highest athletic performance possible. minerals are not absorbed. Without minerals, vitamins do not function… and in that order. ‘E-Fusion’ is 100% raw vegan amino acids from plant sources. Plant source amino acids are the highest quality amino acid available. Because we are not forced to heat, pasteurize or irradiate plant supplements, we are one of the only suppliers of 100% raw amino acid supplement. This is the top choice for anyone looking to approach sports nutrition from a new angle of total body health. For Health, Body Building or Physical Conditioning – A complete Meal Replacement. A powerful cholesterol-lowering, anti-diabetic, anti-oxidant, anti-cancer action whole food supplement. A Wholesome, Balanced, Complete food-based vitamin/mineral complex, consisting of organic raw protein, Tocopherols, Tocotrienols, O2 Factor™. Also contains 22 essential and non-essential amino acids. No refined sugars or fillers. When used on a regular basis, it helps to provide an increased level of protection against free radical damage. Coupled with amino acids, it provides a dense, nutrient-rich, source of vitamins and minerals that help support body organ function. Weight trainers have reported a 600% increase in performance! A whole food alternative to steroids. Attend an informative Educational Health Presentation in your area – see calendar on our site..
Health is Not a Matter of Chance – It’s Only a Matter of Choice! The amount of quality protein in your diet is the single most important calorie that influences your metabolic rate, favorably influencing fat loss and lean body mass. Quality protein also helps you sustain muscle during weight loss, improve muscle fitness, improve immunity, improve antioxidant function, build HDL cholesterol, and enhance insulin and leptin function – all of which contribute towards optimal fitness levels over time. A remarkable quality about Avena’s RP3 Protein is that it contains all 9 essential and all the non-essential amino acids in a perfectly balanced Amino Acid Profile. In fact, our comparison by an independent lab test confirms that Avena’s RP3 Protein is equal or higher in some cases than the amino acid profile of egg, whey, and beef. (Please refer to Avena’s Protein Nutritional Facts for amino acid profile. Avena’s RP3 Protein is living and more potent and absorbable than non-living animal proteins. Most athletes take high amounts of animal protein that is not usable for the body and is actually acidic creating intestinal toxemia and other disturbances. Because Avena’s RP3 Protein is predigested with bio-fermentation and natural enzymes, it has 95% to 98% digestion efficiency. And it’s completely hypoallergenic. “Goji-berries” – Research has shown that Goji-berries contain the highest concentration of cell nutrients of any whole food in the world. Goji-berries are high in antioxidants. The powerful natural food increases intercellular communication and comes high in vitamin B1, B3, and B6. Goji-berries have all 8 essential amino acids and all the non-essential amino acids. Goji-berries provide 21 trace minerals and stimulates secretion of the human growth hormone. Research shows Goji-berries increases energy- cleans the blood and reduces anxiety. “Enzyme Enhanced” – One of the key enzymes is Protease which helps predigest the protein and improves the bioavailability of the protein. This provides less stress on the organs and reduces inflammation from an intense workout and quicker recovery. “Proteolytic Probiotics” – assist the body to eliminate toxins and waste from bad bacteria and undigested proteins. Q. How do I use protein for weight loss? A. Easy to digest proteins are the key to fueling and driving metabolism, The Natural flavor will be the best suited for this purpose, and try and use it in-between breakfast and lunch, prepare for increased hunger, but careful to not over eat due to the increased hunger. Q. What is the importance of this product being RAW? A. Amino acids are essential for life and vitality! When protein gets heated, even low heat can cause the Lysine to bind and have a major negative effect on many of the essential amino acids. Q. Why is there protease added to this formula & how much? A. Protease greatly increases the ability to breakdown the proteins into amino acids and dramatically increase the bio availability. We have added 100,000 HUT of Protease per serving. Helping make this virtually 100% absorbable. Why do we need Protein? – We need Protein for energy, Strength, building of cell structures, and the breaking down and elimination of toxins. “Complete protein” – high in branch chained essential and non essential amino acids which help to create greater muscle mass and strength. Avena’s RP3 is based on high quality Pea and Hemp Protein. Contains Branch Chain Amino Acids which are higher than any other plant-based protein. It is a Great energy source! It builds muscle/burns body fat and increases metabolism and creates a feeling of satiety (fullness). RP3 restores nitrogen balance after intense workouts. It is easy to digest and easy absorbable. RP3 promotes healthy liver function. RP3 is a good source of Iron and calcium and contains Edestin which promotes DNA and cellular growth. RP3 assists the body to stabilize blood sugar. What makes Avena’s RP3 Protein so spectacular? Synergy! Each ingredient is exceptional alone, but when selectively combined in a revolutionary new proprietary formula, Avena’s RP3 Protein is overwhelmingly superior to any of its single components. This dynamic fusion creates a unique, raw, plant-based protein with a complete amino acid profile. Avena’s RP3 Protein is the next generation of raw plant-based protein. An easily-digestible, nutrient- dense super food, perfect for those who want to be ultra-healthy, build muscle strength and be ultra fit. Disease is caused by the intrusion and accumulation of things in the body that do not belong there. A good example is when you cut a finger and you get dirt inside of the wound, toxins in the dirt cause the wound to fester and prevent it from healing. Clean up the wound, remove the infection and the body heals itself. The list of things that cause disease can include yeast, mold, fungus, bacterium, viruses, candida, cancer cells, bad diet, etc. Every living human being has some of each of these floating around in their bodies, including cancer cells. That however is not the problem. The problem stems from an accumulation of toxins that provide food and soil for these cells and organisms to grow in. A tumor is a protective mechanism built by our body to prolong our life. A tumor is actually our friend for the very reason it was built by our body to prolong our life. It is nearly impossible for our body to eliminate all of the toxins that are bombarding us each day. Gradually our bodily fluids have become saturated with acids and toxins that are killing us slowly and making us sick. This is the fish bowl metaphor. 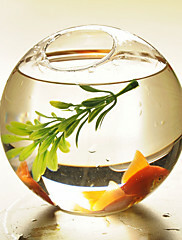 If we don’t change the water in the fish bowl, it eventually gets dirty and the fish dies from suffocation. It is all about pH. Oxygen is critical for functioning in the body and preventing cancer. The levels of oxygen drops ten-fold for each full number drop in pH? When pH levels are 3 points lower than normal (which is the case with most cancer patients) oxygen levels are a thousand times less than they should be. Our cells are being bathed in water, just like the fish in the bowl. Our cells can be no healthier than the fluid they are bathed in. Dr. Warburg said that cancer could not survive in a neutral pH of 7.0. Cooked food becomes acidic in the body and also destroys enzymes for metabolic functioning. Nothing works in the body unless enzymes are present first. Protein (amino acids) are not utilized then minerals do not get absorbed and then vitamins do not function. There is no emphasis on enzymes and people just waste their money taking minerals and vitamins that are barely utilized within the body. Toxins in the blood and bodily fluids act the same way. We are eating, drinking and breathing toxins every day. Eventually they start falling out of solution. If toxins settle around the joints, we call that symptom a dis ease and name it arthritis. If toxins settle in the muscle fibers, we name it fibromyalgia. If toxins settle around the nerves we name it multiple sclerosis. (Acid that is eating or dissolving the myelin sheath off the ends of the nerves is what causes MS.) If toxins settle in the brain, we call it memory loss, headaches, dementia, Alzheimer’s, ADD, schizophrenia, brain tumor and a bunch of other “dis-ease” words. If our pancreas gets plugged up with toxins to the point it can no longer make insulin, we call it diabetes. I could go on, but the point I am trying to make is when toxins settle out into a weakened organ or tissue that is unable to defend itself from toxins as readily as the surrounding tissue, (this could be from genetic defect, prior injury, surgery, etc.) the toxins begin concentrating to a dangerous level. The body’s first order of business is survival, so a signal is sent from the brain instructing the toxic organ to start building a protein or fibrin sheath around the concentrated toxins and we call that a tumor. Normal cells will usually start dying due to the heavy concentration of toxins inside the tumor. The only way they can preserve their own lives is to mutate or change into a different life form. Unlike a normal, healthy cell, cancer cells never die. They do however, keep growing and multiplying. The toxins inside of the tumor become food for the mutated cells and since there is no shortage of food, they generally grow quite rapidly. The tumor becomes a filtering system for our blood, much like our liver or the oil filter on our car. The dirty, toxic blood flows into the tumor; the tumor filters out the toxins and sends cleaned blood back to the rest of the body. The toxins that remain are food for the cancer cells and they continue to grow. The human biological terrain is what allows bacteria, viruses and cancer cells to thrive and survive in the human system. Pharmaceutical drugs are made from petrochemicals which are derived from fossil fuel. Now that explains one reason why people who use them experience nasty side effects. …are all food for cancer cells in the human body. Besides, petrochemical drugs have hundreds of side effects. Acidic foods, like cooked foods, meat, dairy, sugar, bread and flour products all create the perfect environment for cancer to grow in. Cosmetics and artificial sweeteners like aspartame are among the list of some of the most deadly offenders. We should avoid as many of these as possible, but it is impossible to avoid them all. The mainstream medical treatments such as chemotherapy and radiation add more toxins than the body can handle. The hair falls out, sickness and dreadful suffering occurs. The cancer cells and healthy cells are destroyed. The cancer goes into remission meaning that the toxins are just moved to other areas of the body. Then years later cancer comes back with a vengeance. Trying to cure cancer with drugs is much like the story of the three little pigs. We can’t build a brick house out of sticks and straw and if we want a healthy body free of cancer and disease, we have to have the building blocks of good nutrition. Isn’t it comforting to know there is a simple reason as to why people get cancer and a sensible way to take care of it without burning, poisoning or cutting? So how can we clean up our biological terrain or inner environment? By neutralizing the acids and toxins that all of us have accumulated and by providing a good balance of necessary building blocks of nutrition. We must eat a raw or a mostly raw plant diet, juicing to supply the nourishment and the enzymes. And specifically supplementing with large quantities of plant enzymes and the proper powerful probiotics to build up the immune system if we want to eliminate cancer or any other illness quickly. A natural cancer elimination addresses the root or cause of the cancer by giving us simple methods to neutralize the acids and toxins that provide fertile soil for cancer to grow in. A natural cancer elimination must also incorporate good nutrition. The processed and cooked food that most Americans live on today is little better than cardboard nutritionally and loaded with toxins. Food that has been picked more than several days ago becomes deprived of its’ nutrition and becomes dead and eating dead food leads to death, disease and dehydration. Live food leads to life, health and hydration. From the ‘Dead Sea Scrolls’ as quoted by the ‘Essenes’. If our ultimate objective is cancer prevention or cancer elimination, cleansing of the body and proper nutrition is a vital element that must not be ignored. Powerful plant enzymes, powerful proteolytic probiotics and wholesome nutrition is the key to good health. Visit our exclusive site to learn how many have eliminated their most challenging health challenges. Nothing can cure any illness. Laughter is the BEST medicine…!!! And laugh your way to the bank too…??? Nothing heals the body… no medicine, no herb or any other remedy. Supply the body the proper nutrient and the body WILL heal itself. When my brother-in-law acquired prostate cancer from a bad living, he completely refused natural (nature’s) methods. He went the medical route (radiation). The cancer went into remission but came back with a vengence as cancer usually does. He died an agonizing and mizerable death! A gentleman with prostate cancer (psa of 1800) and later cancer of his total body, given less than eight days to live and funeral arrangements already made was pronounced cancer-free in sixty days. How did this occur…? He accepted nature`s methods… specifically powerful plant enzymes, powerful specialized probiotics and other whole food nutrients. (See the full story on our site below). Males are becoming more and more aware of the need to look after their health. Their egos are finally slowly starting to fall away. It seems that increased education is improving this number. And of course, seeing more and more men getting prostate cancer and many dying from it. It does not have to be this way. More and more men are looking into healthy alternatives, from products for prostate health and sexual performance, to remedies for blood pressure, heart problems, cholesterol, arthritis and bone density. A report from the Herbal Foundation confirms that in an American study, Saw Palmetto is the “option of first choice for men with Benign Prostatic Hyperplasia (BPH)”(inflammation of the prostate), and now findings are that Saw Palmetto is not as effective as once thought. Europe has been a strong proponent of natural remedies in treating BPH. In Italy herbal remedies are used five times more often than synthetic drugs and in Germany more than 90 percent of men and their physicians choose natural remedies over synthetics for treating BPH. Our approach has proven very effective in reducing the concerns of men about their prostate health. We believes that understanding the cause of the problem can provide you with a much better and more effective way to prevent poor prostate health. Yes – most of the prostate problems are caused by the bowel – you just have to look at the anatomy of a male and you will see that when you have any enlarging of the sigmoid area of the large intestine, it will put extreme pressure on the prostate gland, restricting blood flow, restricting proper flow of the urinary tract and affecting many other prostate health issues. Cleansing the bowel with a specialized ‘Herb Cocktail’ and establishing ‘Friendly Flora’ helps wipe out bad bacteria that sets up house-keeping in our colons. With the daily use of powerful‘Enzymes’ when we eat, we ensure proper digestion. This reduces the chance of undigested amino acids ending up in our colon and putrefying – which causes toxic putrefaction within and enlargement of the colon that can result in poor prostate health! Learn more on our our sites… www.LeadingEdgeHealth.org Educational product site www.IdealHealth4Life.info A referral plan is available… become a distributor. Health presentations in June… a city near you…??? Next sale… Nov. and Dec. 20% discounts. Avena is NOW Streaming Live…!!! wellness to a whole new level. start to finish. UNDERSTANDING — IS the KEY! Tuesday, January 12th and every second Tuesday of the month. questions tonight on our live podcast call. Nothing cures anything. Only the body can heal itself. Supply the body the tools, the nutrients, it needs and the body will heal itself. Dr Edward Howell believed that cooking our food results in a shortened life span, illness and a lowered resistance to various types of stress. while the others glands and organs, the brain to a high degree, shrink in size. We know that enzymes, proteolytic probiotics and other powerful products bring RESULTS! Click on the testimonials tab specifically “confirmed that I had Pancreatic Cancer. And the testimonial of the un-curable ‘lupus’ on the front page of the same site. How the gentleman eliminated the so-called un-curable ALS. The sooner the person gets on the program, the sooner the healing will begin. I have experiences that many do not believe and many of those are not with us today. Our scientist, former medical doctor, got cirrhosis of the liver and colon cancer at the same time. He found a way to eliminate his health challenges and went on to help others. ENZYMES are the key! 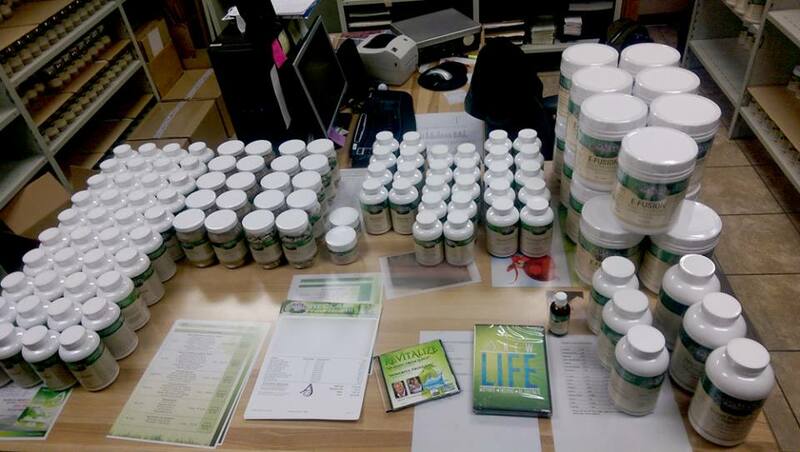 His company formulates our MOST POWERFUL ENZYMES and other powerful products that bring RESULTS ! 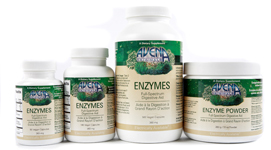 Avena Originals markets his Powerful Enzymes and other products. Other companies purchase a weaker enzymes in order to make more money on them. Questions…??? 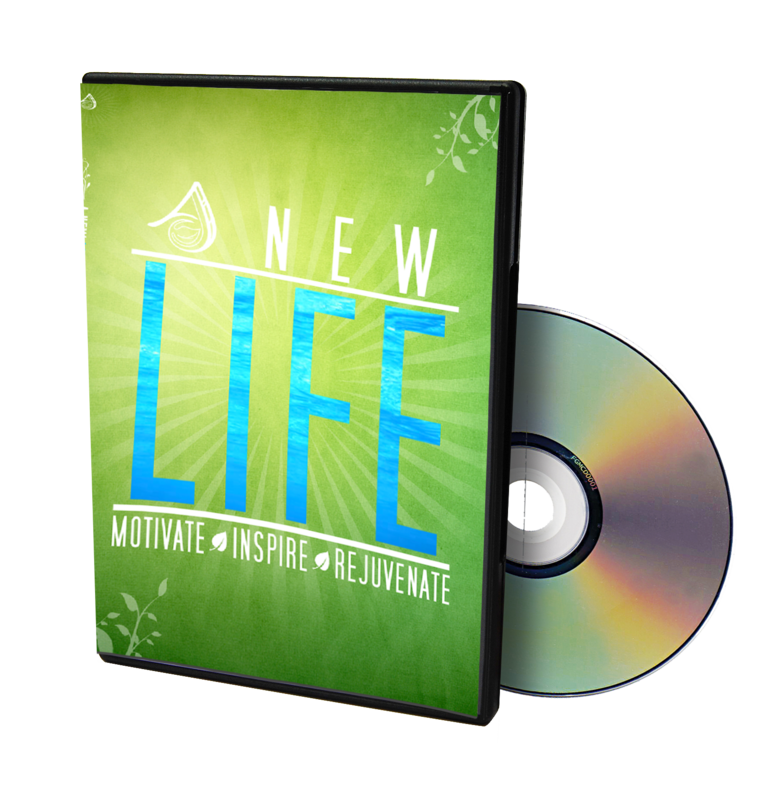 Receive a FREE DVD when you become a member . A brief explanation on the different enzymes. and some other product, results will be seen very quickly. The more enzymes, the quicker the results. Q: Are There Different Types of Enzymes?A: YES, the three (3) sources of enzymes you will find in the market are Pancreatic, Plant Extracted, and Plant Cultured Enzymes. PANCREATIC: Pancreatic Enzymes will only fire-up in pH of 7.8 – 8.3. You will never find any person with health challenges with a pH of 7.8 – 8.3. Usually their pH is under 7, which is an unsuitable acidic state. Also, a human stomach Ph is under 6.0 which make pancreatic enzymes unsuitable for digestion. PLANT EXTRACTED: These enzymes are usually extracted from Pineapple and/or Papaya and because their enzymes were intended to be digested they function in the much wider pH of 2 to 12, which is within the range of every human being–sick or healthy. Unfortunately the extraction process usually involves chemical reactions, thus sacrificing a large amount of the enzymes’ potential activity. Also as soon as the plant has been harvested (at its ripest condition so the enzymes are at their most active state) the biodegradation cycle starts, where the plants enzymes begin breaking down the plant. Another reason why so much of the potential can be lost in standard plant-extracted enzymes. PLANT CULTURED ENZYMES: Avena’s cultured enzymes will fire-up in a range of pH between 2 – 12, which is within the pH of any human, even with health challenges. These enzymes are grown on a plant source in an enzyme rich controlled environment much like a greenhouse, where they can be monitored for enzyme growth and potential while the plant grows. Once the enzymes reach their peak potential they are extracted using a patented technology leaving us with 99.99% Pure Enzymes, without losing any potential activity. The result, you have one of the most potent, highest-activity-level enzymes available today. Q: Will Supplementing with Enzymes, Affect my Natural Enzyme Production? A: Avena Originals Enzymes are cultured from plants, thus these exact enzymes were originally found in every fruit and vegetable we ever ate. It would not make sense that eating these natural enzymes from fruits & vegetables would in some way prevent our own bodies from producing metabolic enzymes. Recent information has shown that the liver requires amino acids to produce over 3000 metabolic enzymes! Without plant enzymes in our diet, we will have a very difficult time getting the amino acids required to produce our metabolic enzymes. So the answer is really opposite to the original question, by NOT supplementing with plant-based enzymes you are preventing digestion which prevents your body from being able to produce its necessary metabolic enzymes. Q: How are Avena’s Proteolytic Probiotics Different from other Probiotics? Dr Edward Howell was born in Chicago, Illinois on October 30, 1898. He held a limited medical license in the state of Illinois. One must pass the same board examination as a medical doctor for this license, but materia medica (a Latin medical term referring to the body of collected knowledge about the therapeutic properties of any substance used in healing), obstetrics and surgery are excluded. He obtained his license in 1924 and then joined the staff at Lindlahr Sanitarium in Elmhurst, Illinois. He remained there until 1930. In 1930, he established a private practice for the treatment of advanced illness, which utilized nutritional and physical therapies. For forty years, until he retired in 1970, he spent three days a week treating his patients and the rest of his time he spent in various kinds of research. In 1932, he started the National Enzyme Company so that he might expand his research on food enzyme nutrition and provide his enzyme supplements, Genuine N Zimes, to the public. As knowledge of the effectiveness of Genuine N Zimes spread, the demand by consumers and doctors alike increased. In the early 1980’s, the advancements in enzyme technology caused the development of a professional-strength enzyme supplement called NESS, short for Nutritional Enzyme Support System (NEC). The product line was launched in 1985 and the company Enzyme, Inc. was formed to be the exclusive distributor of NESS and other brands of enzyme supplements manufactured by NEC. In the year 2000, Enzymes, Inc was purchased by Lynn Greaves and her husband, Jim. She had joined Enzymes, Inc in 1985 and worked with Dr. Howell along with the owner of NEC. Enzymes, Inc now offers 125 different enzyme products and 6 different product lines. 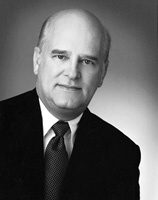 Dr Howell was a pioneer in his field. He was the first researcher to recognize and to outline the importance of enzymes in food to the nutrition of human beings. He wrote The Status of Food Enzymes In Digestion and Metabolism in 1946. It took him more then 20 years to complete Enzyme Nutrition, which is a condensed version. The original work has about 700 pages and is approximately 160,000 words long and contains 695 references to the world’s scientific literature as well as 47 tables. It contains the reference and source materials for Dr Howell’s enzyme theories, which he called the Food Enzyme Concept. The book reviews the scientific literature through 1973. Dr. Howell stated the following maxim: The length of life is inversely proportional to the rate of exhaustion of the enzyme potential of an organism. The increased use of food enzymes promotes a decreased rate of exhaustion of the enzyme potential. Another rule can be expressed as follows: Whole foods give good health; enzyme-rich foods provide limitless energy. Dr Edward Howell believed that cooking our food results in a shortened life span, illness and a lowered resistance to various types of stress. He pointed out that Homo sapiens and animals in general consuming a diet largely of cooked foods have enlarged pancreases, while the others glands and organs, the brain to a high degree, shrink in size. At the age of 88, while living in Southwest Florida, he served as Research Director for the Food Enzyme Research Foundation while continuing his writing and research. His last residence was Fort Myers, Lee County, Florida where he died on March 30, 1988. His wife Evangeline was born March 27, 1904 and died in August of 1991.
behind enzymes and specialty proteolytic probiotics. tools needed and knowledge to make it happen. Health is Not a matter of chance. It’s just is a matter of choice! February 10 – 6:30pm MST What’s wrong with our health? June 16 – 6:30pm MST Summarizing the solution. Become a member for EXCLUSIVE benefits…!!! And YES… You can EARN an income helping others… Go to the above site to learn how. so they take advantage of the discounts. Are you taking advantage of Avena’s Christmas Sales? Only until December 31st till noon. This one customer sure is! This is all one order going to Saskatchewan, Canada. … the rebates that you could earn.